Here are 10 amazing eye makeup hacks to try on a rainy day! The almost daily struggle between perfectly made up eyes and raccoon-eyes in the rainy season has no one else but a woman-who-could-be-gorgeous at the suffering end. However, there are ways to put an end to this war with these genius tips & tricks no one told you about! These 10 monsoon special eye makeup hacks will let you enjoy rains without fear. Monsoon makeup has to be done differently during this season keeping in mind the high level of humidity while you are on the go. There are several ways in which you can help your eye makeup stay put. Prime your eyes and set the base for makeup, choose the right products and then apply those products like a pro to beat the rainy runny-ness. 1. Make a DIY primer and use it. The function of a primer is to hold the eye shadow or other eye makeup for a longer time and making the color stand out. You can easily make your own primer at home for less than the price of a bag of chips! 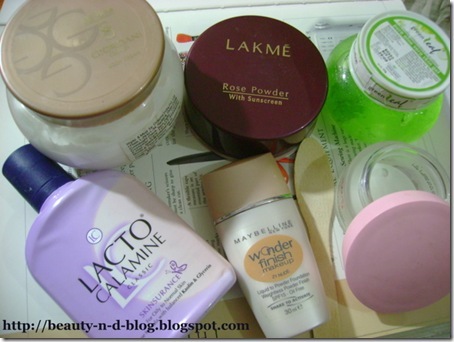 In an empty container, scrape out some compact or powder foundation. Add to this a few drops of Lacto Calamine. Use the pink variety as it has that matte effect because it’s for normal to oily skin. Adjust the volume according to your need. Remember, the lighter the shade of your primer, the louder will your eye shadow stand out. 2. Make your eye makeup last longer by setting your eyeliner with a matching eye shadow. First, line your eyes with a pencil liner, and then lightly dust eye shadow in the same shade on top to hold the liner in place. 3. 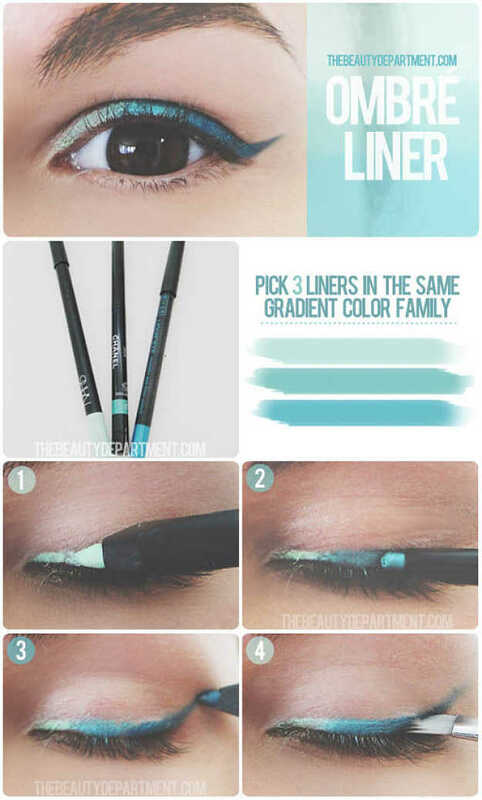 Create an eye-opening ombré effect by fading a lighter color into a darker eyeliner. Start at the inner corner of your eye and line the first three-quarters of your lash line with a light eyeliner, such as white. Then, grab a darker eyeliner and line the outside corner of your eye, then move toward the middle of your eye and stop halfway. Grab a sponge brush and begin blending the middle section where the two colors overlap. 4. Get the perfect smoky eye without overdosing on products! The cardinal rule of eye makeup in the monsoons is to use only products that are necessary. Instead of using layers and layers of eye shadow, create a sultry smoky eye only using a pencil eyeliner. 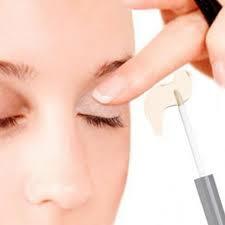 Simply draw a hashtag on the outer corner of your eyelid and smudge it out with the sponge. Keep drawing hashtags and smudging it out to get a darker, smokier look. 5. Use a gel liner as it can be easily blended onto your skin for different looks like a definite wing. 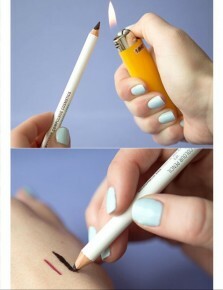 Turn your eye pencil into a gel eyeliner To flaunt a smoky eye look, turn your pencil eyeliner to a gel-based formula. Hold the pencil under flame for a few seconds and let it cool for 10 minutes. The consistency of the pencil will now turn smooth. Glide it on your eye-line to create that perfect edgy look. 6. Go waterproof. Do not go overboard with products in the season as the rain water is enough to wash your makeup off or else the humid weather would do. It is always better to go for waterproof eyeliners to create graphic eye looks rather than going heavy with several eye shadows at the same time. 7. Mascara musing? In the wet season, either use a waterproof mascara or no mascara at all. Actually, you could also use clear mascara so even if it washed out, you don’t end up looking like a panda! 8. Seal in the mascara. In case you are using colored mascara to battle the dull and grey skies, do remember to pat your lashes with some baby powder before you apply. 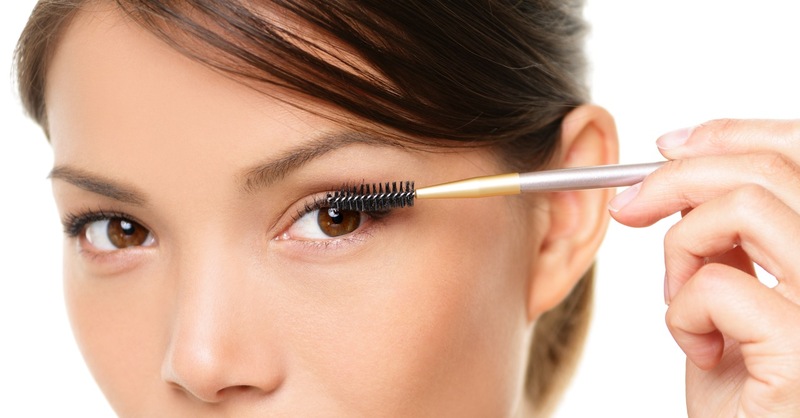 Simply rub some baby powder between your thumb and index finger and run it twice over your lashes. 9. In case you opt for the no mascara look, you can still have flutter-worthy lashes. Slightly heat your curlers with a hair dryer – they should be warm, and not hot! Use these warm eyelash curlers for curling your lashes to make them stay curled for a considerable about of time. 10. Powder under the eyes. When you’ve finished all your eye makeup, give your face a light dusting with face powder and it will help to set the makeup and keep it in place for longer. 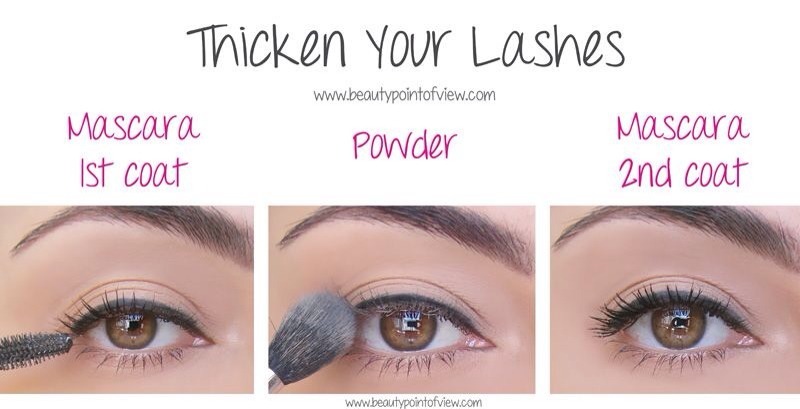 Apply a light dusting over the entire eye area and blend in well.